In light of the new pro-abortion bill passed in New York, Democrats in the state of Virginia are taking things even further by proposing a shocking piece of legislation that would allow the killing of a baby right up to the moment of birth. 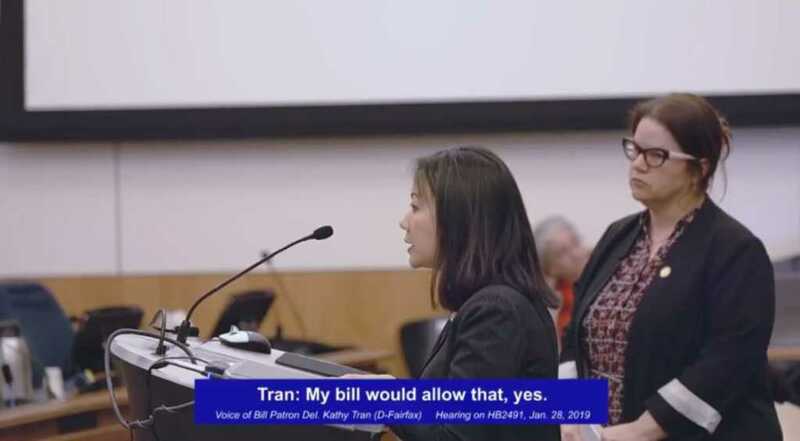 In an almost unbelievable exchange between Virginia House Democrat Kathy Tran and Republican Todd Gilbert during a House subcommittee hearing, it was made clear that, under HB 2491, the mother would be permitted to request an abortion even as she is showing signs of going into labor. “My bill would allow that, yes,” Tran responded. Aside from the obvious questions around the state of personhood and the sickening thoughts around the sordid method of murder that would be selected for a fully-formed child, the fact that a woman who is in the throes of labor could potentially be given the power to sign off on her own abortion that late on is absolutely despicable – it is a fundamental abandonment of women’s healthcare. Arguably, any doctor who would think it ethically upstanding to allow a woman to sanction the killing of their child just before the infant takes its first breath should not be esteemed as a leader of a progressive women’s healthcare agenda, they should be safely behind bars. As you can imagine, there was horror and outrage pasted all over Twitter in response to the announcement. New York just passed a bill essentially legalizing abortion up to birth. Virginia is now considering a bill that would explicitly allow abortion up to birth. This is not about viability or “safe, legal, and rare.” This is unlimited abortion on demand of fully formed babies. Clearly, those behind this proposal believe that a baby is not a human person until it is delivered outside the womb – an assertion that contradicts all common scientific understanding. Under this proposal, a baby could be slaughtered just before it is birthed and those involved would go completely unpunished. However, if they committed the same act just a couple of moments later, they would be culpable of infant homicide. Remember: New York’s legalization of lethal injections for fully formed infants is totally in line with @TheDemocrats platform. Even though the majority of their base disagrees with them, the Democratic Party is owned by Planned Parenthood & will defend abortion at all costs. How different would this new law be from the current one? NOW: The law in Virginia allows for a termination in the third trimester if the pregnancy is “likely to result in death, physical or mental impairment of mother.” In addition, three physicians must sign-off on any third-trimester abortion to ensure that the medical grounds are accurate. UNDER HB 2491: Abortion can be administered up to birth for any reason. “The bill eliminates the requirement that two other physicians certify that a third-trimester abortion is necessary to prevent the woman’s death or impairment of her mental or physical health,” reads a summary of the legislative proposal. UNDER HB 2491: All these provisions would be done away with, as they supposedly result in unnecessary “emotional distress” for the woman seeking a termination. According to a recent poll, some 75 percent of respondents, including 63 percent of those who identify as pro-choice, indicated a desire to see greater restrictions on abortion time limits. The Marist Poll at Marist College took a survey of 1,066 adults on January 8-10 and revealed that respondents want to see limits on abortion so that it can only be permitted during the first three months of pregnancy. The poll, in essence, challenges the assertion that the proponents of such radical abortion agendas are supported whole-heartedly by the people they represent. “We actually see where there is a good deal of common ground on the whole host of policy decisions (related to abortion),” she added, as reported by The Catholic Herald.